​Our newsletter is published at the beginning of the month. Here are your headlines from the month of March. "Thanks! 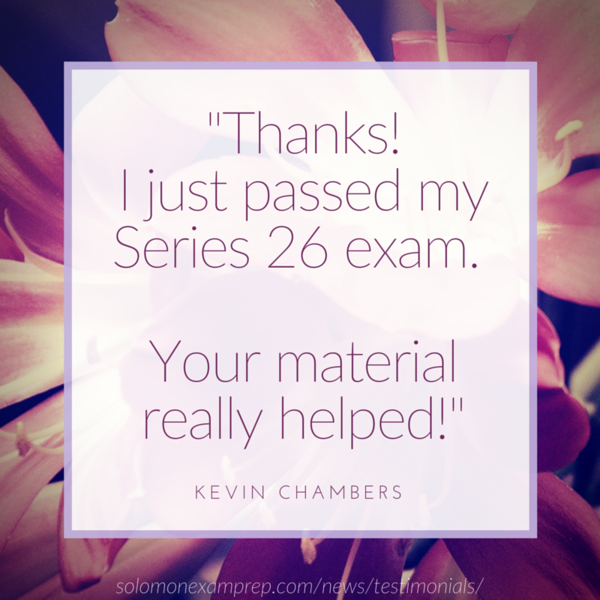 I just passed my Series 26 exam. Your material really helped! Question: Member firms that execute investment company transactions for their customers must transmit payments to underwriters, investment companies or their designated agents by the later of: the end of the _______business day after receiving a customer's order or the end of _________ after receiving a customer's payment for such shares. Rationale: ember firms that execute investment company transactions for their customers must transmit payments to underwriters, investment companies or their designated agents by the later of: the end of the third business day after receiving a customer's order or the end of 1 business day after receiving a customer's payment for such shares. Congratulations to Janet K., this month's Study Question of the Month winner! The April Study Question of the Month has been posted. 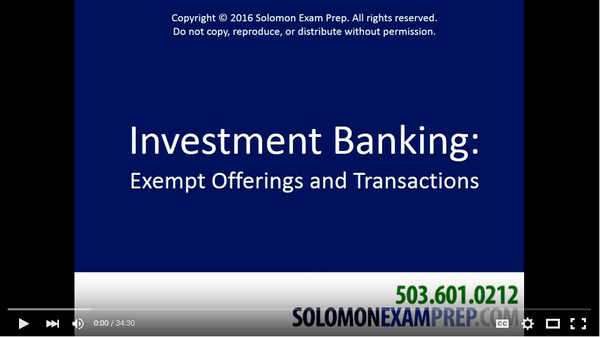 See our blog and submit your answer to info@solomonexamprep.com to be entered to win a $10 Starbucks gift card. MSRB Rule G-20 limits broker-dealers from giving gifts worth more than $100, if the gift is given in relation to municipal securities activities. Effective May 6, 2016, this rule extends to municipal advisors and their associated persons.